Terpenes and Testing World Conference media registration is now open. Thank you for your interest in covering the show. Please note, once your media registration is approved, Terpenes and Testing World Conference press badges will not be mailed. Members of the press can pick up their badge at the on-site media registration, located in the expo lobby area (near Hall A) at the San Jose McEnery Convention Center. A government issued photo ID must be presented to receive your badge and badge holder. 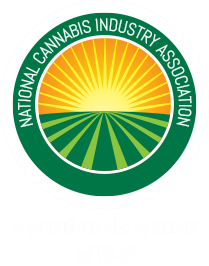 Contact the Canna Newswire Media Relations team at media@terpenesandtesting.com with any questions regarding media registration and show attendance. Terpenes and Testing World Conference 2019 is taking place April 11-12, 2019 in Pala, California. Accreditation is reserved for working members of the media and industry analysts only. This includes editors, reporters, producers, camera crews, still photographers and industry analysts. TTWC reserves the right to deny an applicant a press/industry analyst pass if sufficient credentials are not provided. Below are the accreditation requirements for press and industry analysts for TTWC. You will need to complete the online accreditation application and provide supporting materials as indicated in the form. Any questions regarding media accreditation, registration or attendance should be sent to media@terpenesandtesting.com. Please review these accreditation requirements carefully before completing the application. The accreditation criteria assume that applicants are full-time journalists, freelancers under specific assignment or industry analysts, and that journalism and/or industry research is the applicant’s main job. Anyone whose principal purpose for attending TTWC is, in our judgment, for reasons other than covering the event as working news media or an industry analyst. A copy of the masthead from a current issue of your publication or a link to your publication’s website that shows your name listed as part of the reporting team. Link to a current page of your online publication or blog with your name and title appearing in an editorial capacity. 2-3 bylined articles relating to the cannabis, science or technology industries (published within the last three months). Bloggers must demonstrate evidence of regular (at least 1 entry per week), current writing related to the cannabis, science or technology industries. Copy of or URL for an industry-related article published within the past three months quoting you. Link to 1-2 recent speaking engagements for which you have participated, related to the cannabis, science or technology industries. Link to your YouTube channel with your name appearing in a content creation capacity. At least 4-5 videos relating to the cannabis industry (posted within the last three months). Content creators must demonstrate regular posting of content (at least 1 video per week). Video editors or owners of YouTube channels do not qualify for a press/analyst pass. Content must extend beyond personal video diaries, opinion or personal analysis. Corporate videos, sponsored videos and contest/giveaway videos do not qualify as relevant supporting content. A copy of your business card with name, editorial title and media outlet logo or the link to your broadcast outlet website with your name listed as a member of the editorial team. Evidence of regular presenting/reporting (links to broadcast coverage with date/time stamp). Email from your producer or director (using a company email address), stating that you will be covering TTWC for the broadcast outlet or production company, sent to media@terpenesandtesting.com. A business card alone will not be accepted as press credentials. Production crews hired by exhibitors, sponsors or speakers to film at TTWC will not be considered for media accreditation and must register as general attendees. TTWC reserves the right to limit the number of broadcast crew per outlet. 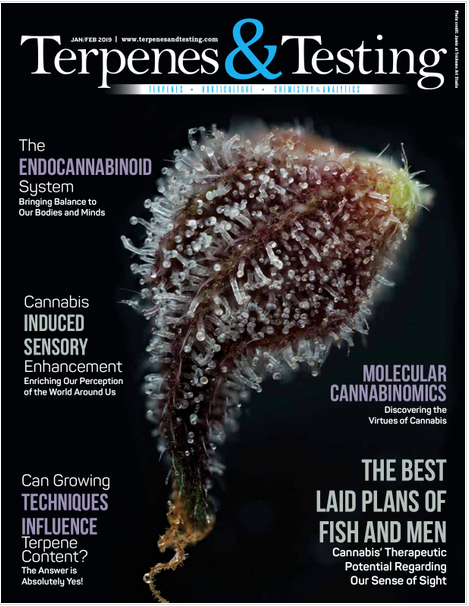 An email from the editor or senior member of the editorial team of a recognized media outlet, from the company email address, stating you are covering TTWC on assignment for their outlet/publication, sent to media@terpenesandtesting.com. Proof of regular and ongoing freelance journalism activity (published within the last three months). Proof of regular and ongoing photography activity (published within the last three months). A copy of a cannabis, science or technology industry/market research report from the past four months listing you as a contributor with your name, title and company name. Reports must be made independently and not commissioned by exhibiting companies. Copy of or URL for an industry-related article published within the past three months with your byline. Copy of or URL for an industry-related article published within the past three months quoting you as an industry analyst. Financial analysts and industry consultants do not qualify as industry analysts.